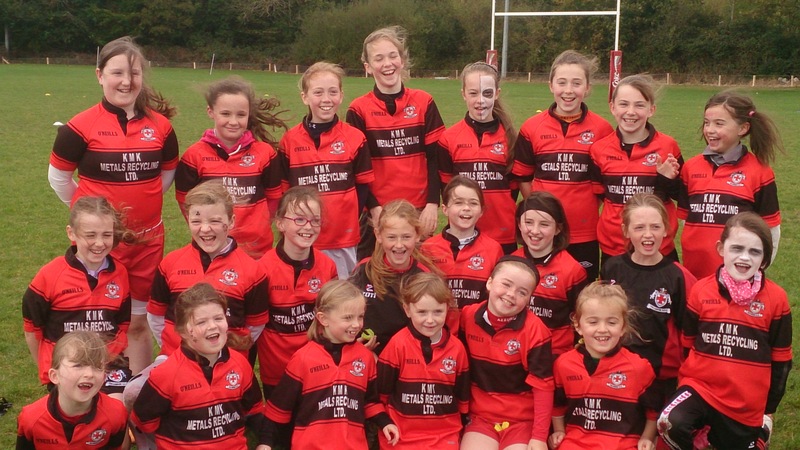 Tullamore RFC Mini Girls appeared in red and black with hunger to win and score tries in their 2nd blitz as the youngest female players with Tullamore. Joined by their Coaches Veronica Smyth (Under 12’s) and Katie Byrne (Under 10’s) and supported by their families. 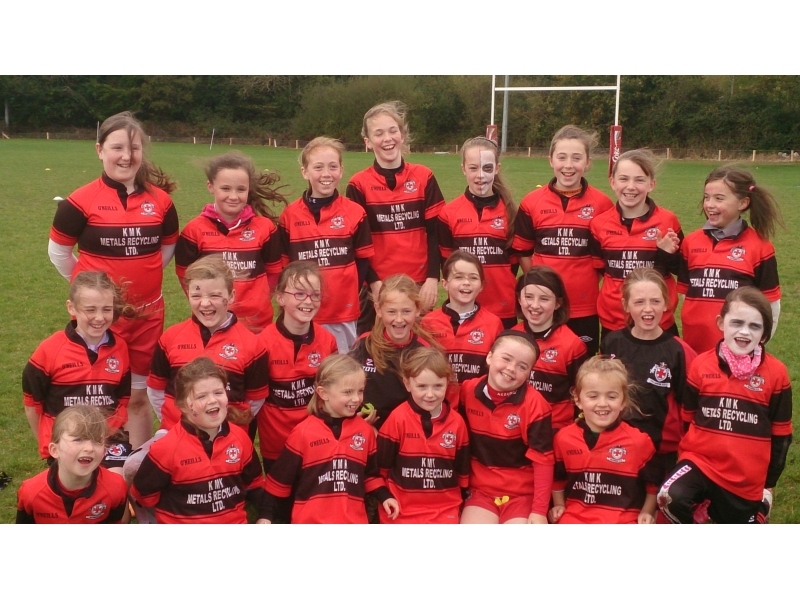 The young girls powered through Ballinasloe in their first 16 minute game, followed by more hunger for victory and tri scoring with Portumna while finishing their games with a draw against the host club Buccaneer Mini Girls. 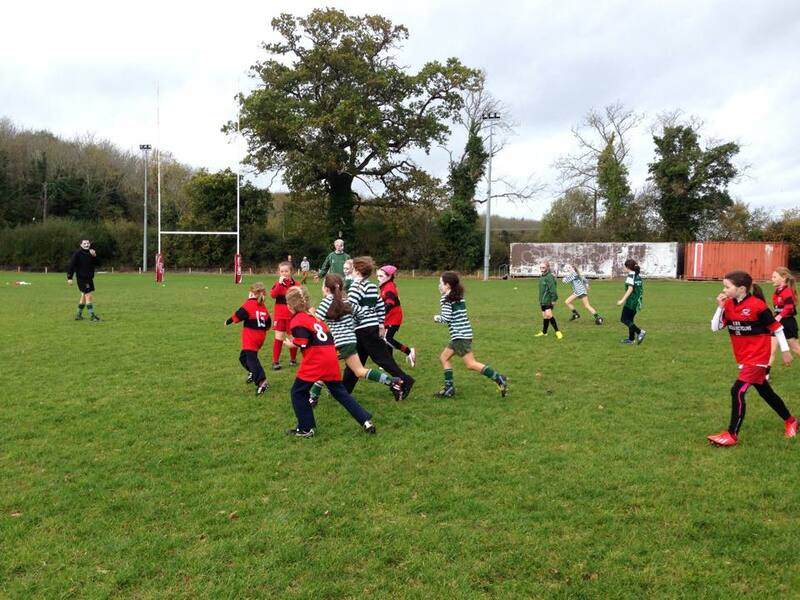 Non- contesting scrums and line outs seemed natural to TRFC Mini girls following 9weeks of training. Ball passing was to be complimented along with the young player’s enthusiasm to try some game moves, proved to be successful with dummy passes and calls such as “HOLD HOLD Hammer”, which is advantageous to the senior girls in their games. Both Under 12 teams had a triumph day with both victories and draws, showing their skills and excitement to learn more and proven to be amazing players in the future. The Under 10 team, showed great team play and sportsmanship by joining forces with various players to have a tag blitz, laughter and fun was witnessed from the side lines with both parents and coaches cheering and encouraging the young players in their games. The event was a great opportunity to show various clubs around that TRFC and their minis are a club of skill and enthusiasm. And the girls showed this on Saturday at the Blitz in Buccaneers club. Both coaches are proud of their dedication and eagerness to learn more, by attending training every Saturday at 11am. 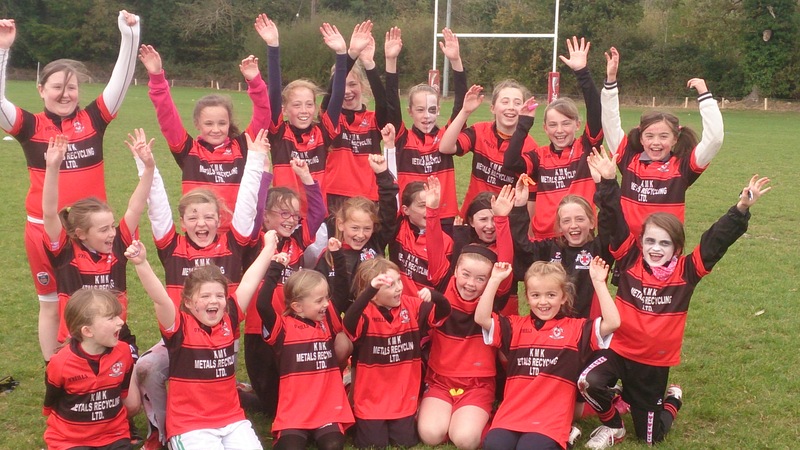 The Mini girls will take on Portlaoise this Saturday KO at 11am, all support and new players are welcome. 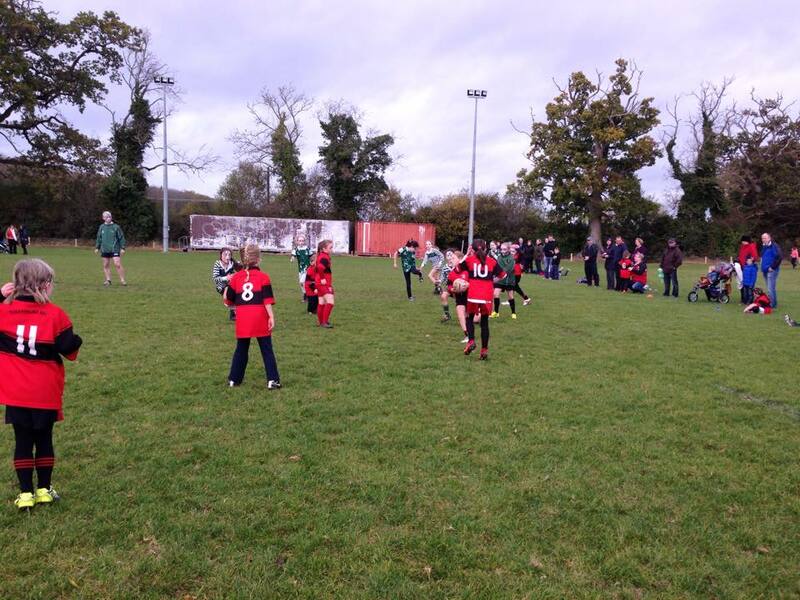 Following months of training, the dedication from the young female players, showed their skills and drive at the Lenister Halloween Blitz at Barnhall RFC last Sunday 26th Oct 2014. Starting the day off with mini drills and tackling techniques, both teams took to the pitches with enthusiasm and anticipation to show fellow players what they have learnt. Supported by parents and TRFC President Susan Bagnall, accompanied by their coaches TRFC Senior Girls Veronica Smyth (Under 12’s) and Katie Byrne (Under 10’s), both teams controlled the games from first touch against Wicklow B, Greystones and Wicklow A team. As the smallest group of young players, the girls didn’t let that stop them on the pitch, especially with contact tackling during the 15 minute games, the under 12’s powered trough with great drive and hunger for the ball and the tri-line. Cheered on by parents the girls enjoyed every minute of it, fantastic team play was witnessed with their line out calls of “Aero and Cadburys” and the experience of the “HOLD HOLD HOLD HAMMER” proved to be triumph and successful with the Mini girls as their coaches taught the girls through training sessions every Saturday from 11am -12pm. 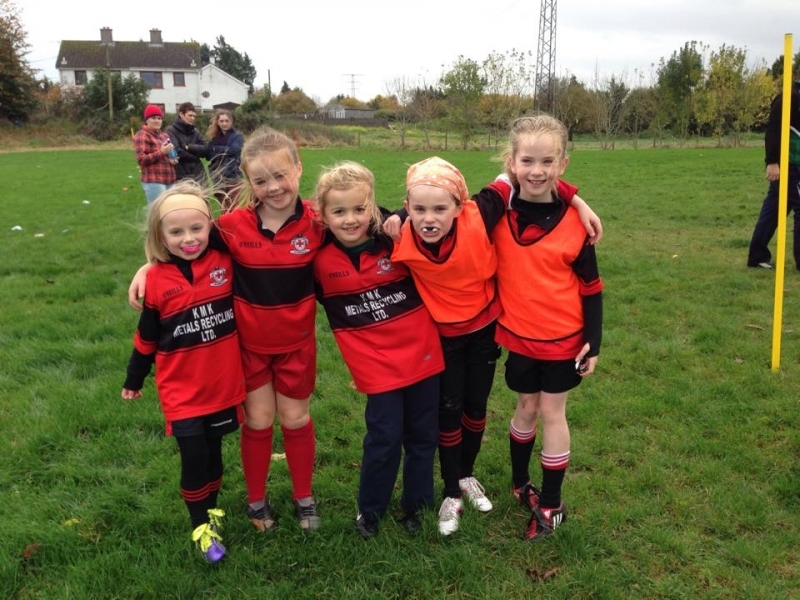 The under 10’s and their coach Katie Byrne, took charge in the Blitz mastering the tagging. Win or lose the girls showed great maturity, by addressing their coach “winning doesn’t matter; we are having so much fun”. This fun day was seen on all the girls’ faces by the end of the blitz. 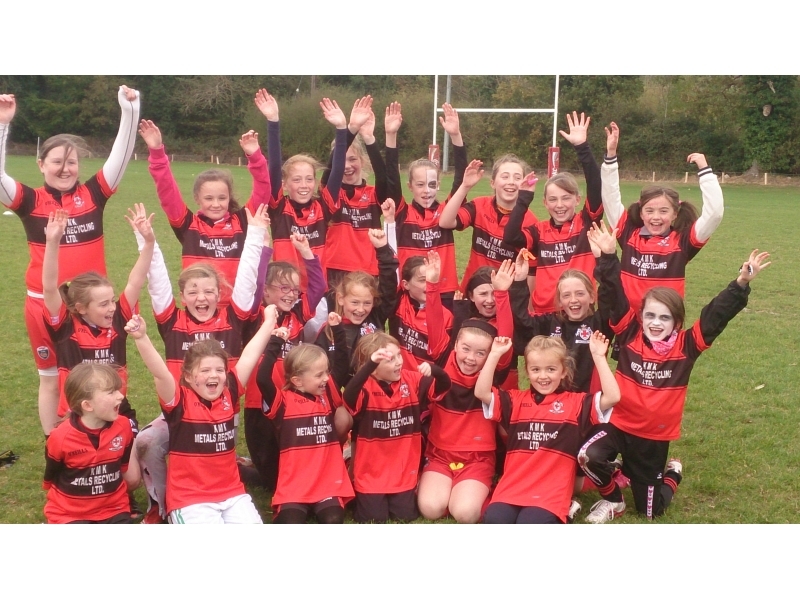 Eagerness is fired up for next Saturdays game, where the Under 12’s will take on Buccaneers in Athlone Durbarry RFC, kick off at 11am.